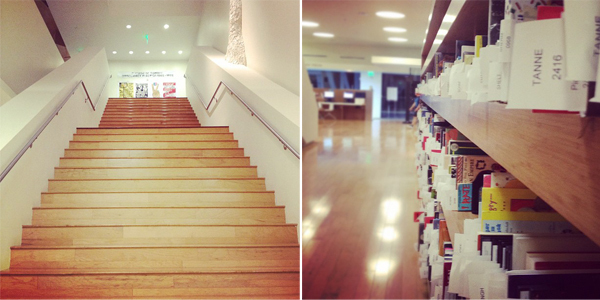 Last night, I finally had the chance to check out the new West Hollywood Library. I always pass it on the drive home, but have only managed quick looks through the windows. And oh my goodness, it's so beautiful inside. The mid-century modern building has a floor-to-ceiling glass wall that faces the Pacific Design Center across the street, and has the coolest carved wood ceiling I've ever seen - well in a library. I'll definitely be spending more time here. Looks beautiful! I love discovering new places that are so close to home but somehow still stay as such a mystery to us.